It’s many collector’s dream to be able to design their very own Breyer horse, and once a year Breyer allows collectors to do just that, and you have until December 7th to get your idea in! In 2004 Breyer began the Collector’s Choice program asking collectors to send in their ideas for their dream model. Collectors got a big surprise in January of 2005 when the first Collector’s Choice model was released. Breyer has recently began voting between their final three ideas, asking collectors to choose the final two which would make their way into the product line; one for spring and one for fall. The collectors choice models are often popular with collectors and tend to be interesting and popular molds in attractive colors. They are also limited and can be very collectible. Golden Oak Stables is your headquarters to find the Collector’s Choice models, including the Spring 2009 and Fall 2009 models. Take some time to enter and let Breyer know what you would like to see! Details are below, but be quick about it, you only have until December 7th, 2009! Call For 2011 Collector’s Choice Models! Do you ever find yourself dreaming about the “perfect” model horse-something you wish Breyer® would add to its Traditional™ Series line? If so, the Collector’s Choice™ Series contest is your opportunity to make your dream model a reality! Out of appreciation for the continued loyalty we receive from you – our valued collectors, Breyer wants to say “thank you” by giving everyone a voice in the development of our Traditional™ Series line! We need to hear from you with your suggestions for our 2011 Collector’s Choice Spring and Fall Limited Edition models. Please e-mail one model concept per household to: CollectorsChoice@reevesintl.com. E-mail suggestions will be accepted until December 7, 2009. We will select the top model ideas for Spring and Fall 2011, and will put these images on our website for voting -so stay tuned! This is your opportunity to help us develop Collector’s Choice favorites for 2011! Here are the rules for submitting ideas. 1. There is no limit on what mold or coloration you can suggest. 2. The model will be produced on a regular, existing Traditional® mold only; no concepts on any other size or medium will be accepted. 3. There will be no accessories or dolls with the model. 4. All information needed to create your idea should be in your e-mail. We will not go to any links included in the e-mail. 5. Please DO NOT send any attachments with your e-mail. 6. One idea/concept per household only. 7. Please include your name, address, age, and telephone number in your e-mail. 8. Ideas/concepts will be accepted by e-mail only. 9. By sending in an e-mail, you forfeit any current or future right to your idea or concept. All ideas/concepts become property of Reeves International/Breyer Animal Creations and we reserve the right to use at our discretion. The winner will receive a complimentary model. Many thanks for submitting your ideas to us! There’s something very special about the hobby that we have found ourselves in its hard to put into words, but there’s just something special. I’ve been involved in many hobbies other than Breyer horses for the majority of my life, and the amazing things that have come from this hobby make me very nostalgic this Thanksgiving week. Many of the first time showers to the Golden Oak Stables notice first that people are willing to go out of their way to help new people in the hobby. It’s true, Breyer horse people will answer questions and help out in anyway possible; they’re willing to drop what they are doing to help someone in need. Another great thing about the hobby is the friends you make. There are thousands of us out there, and with our friendly nature its easy to make new friends, and best of all, we all share the same hobby! I’m also thankful that in the model horse hobby we have dozens of events we can go to just about every weekend of the year! There are events all over the country, but in New England we seem to have events all the time. But for those of you elsewhere in the country there are still tons of events out there that you can go to and spend time on your favorite subject! Along with events, I’m thankful for Breyer and Breyerfest. Thousands of people were just as lucky as me to be able to attend Breyerfest 2009. Breyerfest is an absolutely amazing event that is put on by Breyer in July at the Kentucky Horse Park. It is the event of the year and is just wonderful. 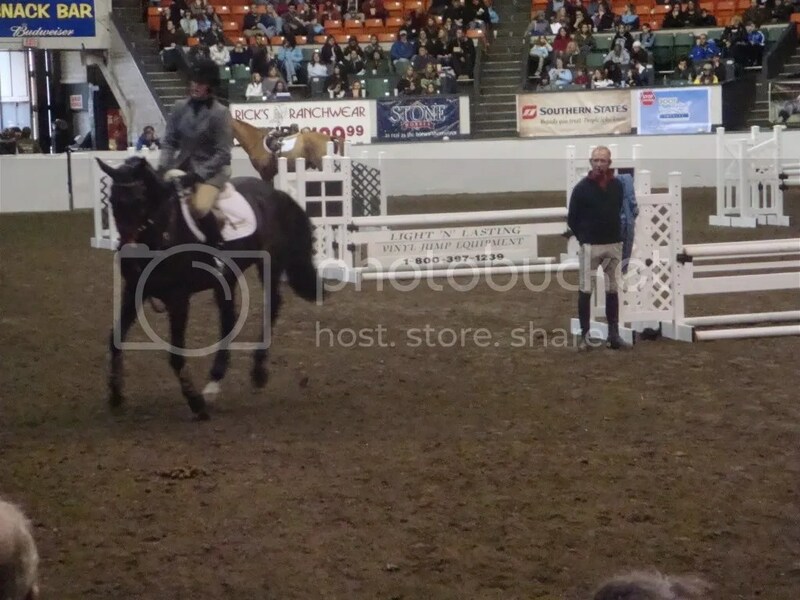 Lastly but certainly not least I’m thankful for the horses that Breyer is kind enough to produce for us. Breyers are durable, realistic and beautifully painted. Try finding another plastic horse out there that’s more realistic; you won’t. Breyer consistently produces new molds and models that are so realistic and beautiful! In years past Breyer wasn’t producing as many new molds and models as well as a huge improvement in the painting, in many different scales. On top of that, they are so affordable! What more could we ask for? I know I talk often about how much I love this hobby and Breyer horses, but truly, this is a hobby that stands out among many. You simply cannot be involved in a better hobby. It is the cream of the crop! Have a wonderful Thanksgiving. See you all after the holiday! The title is a little misleading today, because while we’re verifying models, we’ll be looking at models from the 1990’s and 2000’s, so they aren’t exactly vintage. Nevertheless, there are still many things to help your distinguish these models from others so that you can really “Know your Breyers”. Breyers from the 1990’s are some of the easiest to find right now because many people who had them as kids are growing up and getting rid of their collections. Models from the 1990’s started to become more realistic and Breyer began playing with new techniques to compete so that they could be called “The most realistic horses”. Breyer began using resist dappling on their horses to create dapples; this wasn’t always the most realistic way to create dapples, but some of them were truly beautiful. We started to see pinto markings that were “Masked” which means that Breyer’s painters used an adhesive blocking to “mask” off part of the horse so that it could create stark and detailed markings on the model. One detail that Breyer did for a short time was “Bi-Eyes” which were eyes painted with a brown iris. This was done for about 6 months in 1997. The 1990’s also began the years of new molds. Kathleen Moody was a popular sculptor in the 1990’s and she created some of the most fanciful and beautiful models we think of today. Kathleen’s models are known for their fanciful nature and beauty. Models of the 1990’s are similar to models of the 1980’s but they became more realistic and had more details. The new millennium brought a whole new level of detail for Breyer. Most of this is due to production being moved to China where artisans could work effectively on models and create a level of detail we’ve never seen before. 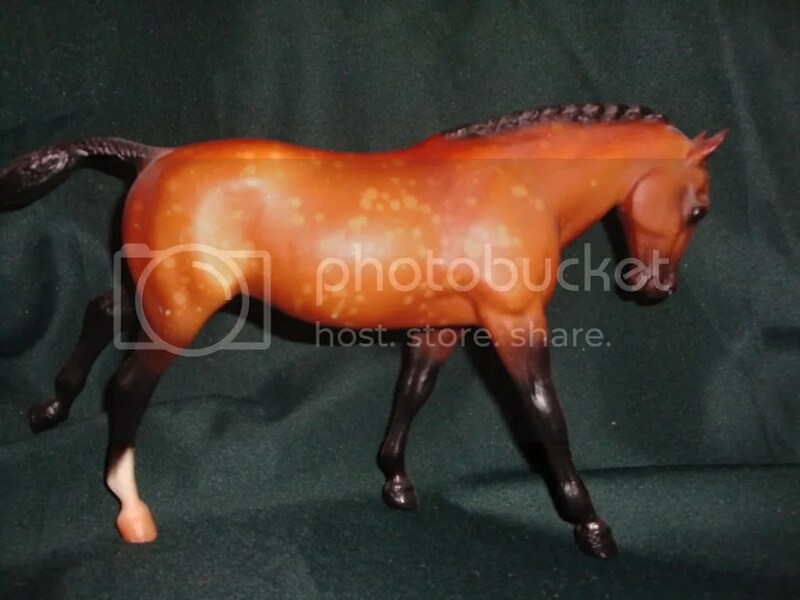 Many Breyer’s from this decade have realstic dapples, crisp markings and hand-painted eyes. Mapping also started in this decade. Mapping is when a white marking on a horse has a small grey strip around it. This is something that occurs in real horses and helps to create truly realistic Breyers. During this time we have had dozens of new molds, many of them rivaling Artists resins. 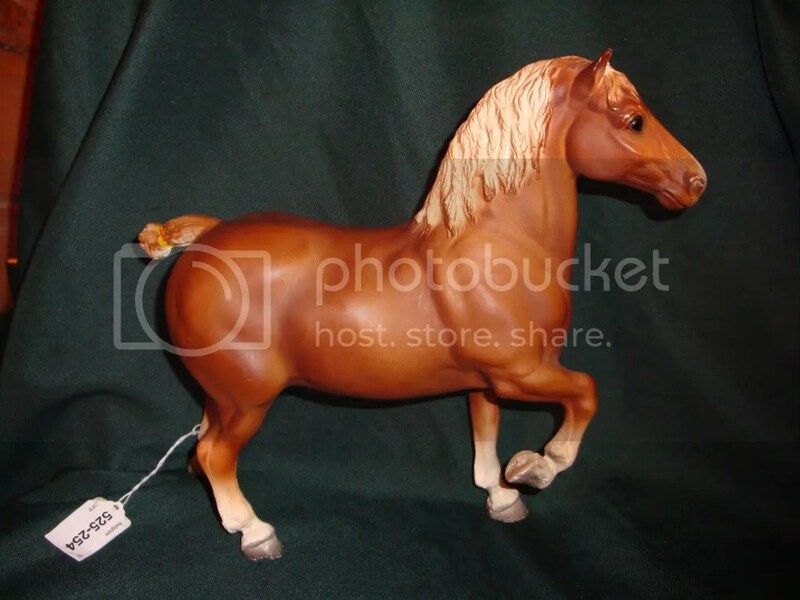 Breyer has truly evolved over the years to become the pinnacle of model horses as we know it. You can find Breyer’s from all decades if you look hard enough. Check out Golden Oak Stables’ Vintage section for a big selection of mint vintage horses. Most importantly, take good care of those vintage models; they just don’t make them like that anymore! 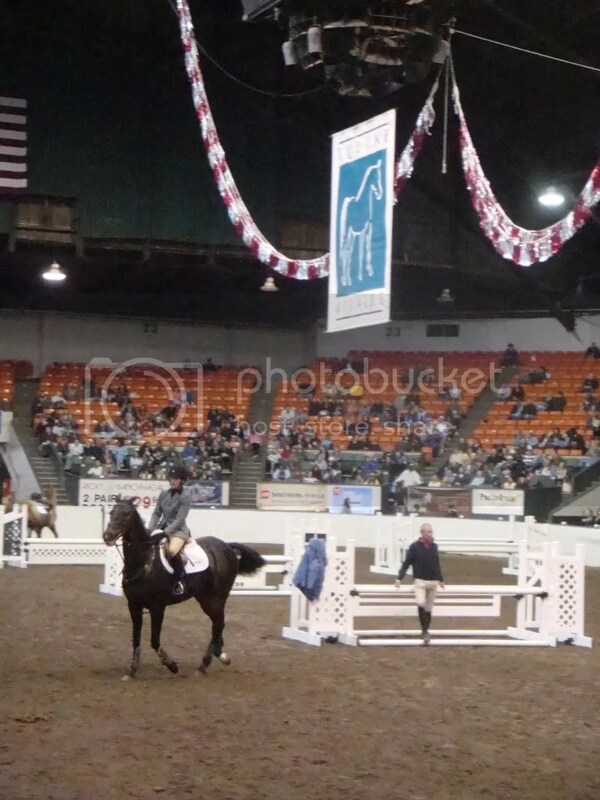 This past weekend, Springfield, MA hosted the horse fair Equine Affaire. 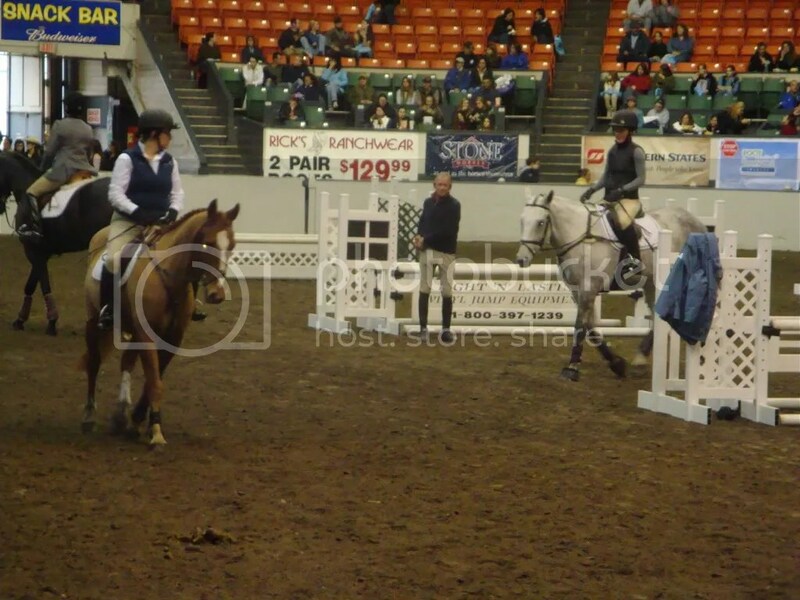 Equine Affaire is a large horse trade event featuring dozens of presenters and hundreds of horses. One of the presenters was Bruce Davidson, an Olympian that has galloped his way into the history books! Bruce Davidson was born in 1949 in Rome, New York; his mother was a concert pianist and his father was a businessman. Bruce found a love for horses around the time the family moved to southern Massachusetts and he began buying ponies, training and reselling them. His mother encouraged this because she felt that it would teach him how to work for what he wanted. Each year he’d get a little more for the horse or pony he trained and was able to purchase an even better one, until one special horse came into his life. Irish Cap was that special horse, and the two of them made it all the way to the world championships together. Around that time Bruce decided to forgo entering veterinary medicine so that he could go and train with the USET, opening the door for his future. Bruce began competing at the international level in 1971 and joined his first Olympic team in 1972 that brought home the silver medal! Over the years he has won 2 Olympic silver medals, 2 Olympic gold medals, 2 time World Championship winner, a Bronze at the World Equestrian Games and an unprecedented 6 wins at the Rolex Three Day Event. Bruce has not been forgotten by Breyer; two of his mounts have been honored by Breyer. Might Tango was released in 1980 as part of the Equestrian Team set and is classic scale. He’s still available today from Golden Oak Stables in a new paint job and some new accessories as the Pony Games Set. This new set has just been released and is an adorable set! The other mount that Breyer has offered was Dr Peaches, for the very first Breyerfest. Dr Peaches is an eventing horse produced on the Phar Lap mold. He was the guest horse of honor and only offered for that first Breyerfest Event. Dr Peaches is still around today as Teddy O’Connor, another very famous eventing horse. It was a pleasure to see Davidson in action and see the wealth of knowledge he had to share with others. It was crystal clear why Breyer had honored two of his mounts, but the real question was, why haven’t they honored more… Only time will tell! It’s starting to get cold up here in New England and my thoughts have been turning to winter for the past week or so. For me, winter brings thoughts of cold, snowy weekends spent with my model horse projects.I use the winter as my time to catch up on everything that I don’t get a chance to do during the year. This year has been especially busy with many model horse events. You’ll probably find yourself with at least a few weekends that could be filled with a project this winter, and why not make it a model horse one? Within the past few years Breyer has come out with some really amazing craft kits; these are fantastic starting points for any project that you might want to try. Breyer’s first craft kit that was released was the Customizing Kit. This kit features an unpainted horse, paint, paint brushes and mohair to get you started on your way to customizing. There is also a 3D Paint by Number Kit that features a resin pony and helps you to laern how to paint shading using the familiar paint by numbers system. Another painting project kit offered by Breyer is the Paint Your Own Horse Kit. This features two unpainted Paddock Pals, which is the perfect kit to do with a friend. In the past couple years there have been some really inventive kits that have been released for collectors to try all kinds of new projects. The Pour and Mold Activity Kit is a really interesting and fun kit where you can mold your own horse; when finished molding, there are materials so that you can paint your new horse. In the same light, there is a Sculpting Kit which allows you to play with sculpting your own model horse. It includes everything you might need when it comes to creating your own horse. One of my favorite kits is the Western Tack Kit which includes everything you might need to make a saddle and a new classic scale horse! There are many more activities that are available from Golden Oak Stables, which you can check out here, including coloring books, drawing kits, painting kits and more! Winter may be long and cold in many parts of the country but you can help it move along a little quicker with a calendar full of projects. Who knows what you might create for next year’s show season! Continuing from last week, this week we’ll focus on the number one question I get at Golden Oak Stables’ shows “What is this horse and when was it made”. This week we’ll go over the 70’s and 80’s. In the 197o’s Breyer horses changed drastically; Breyers were begining to become very popular with collectors beginning to pop up as well as shows begining to be formed. The hobby really got it’s “Start” in the 1970’s and Breyer took notice. 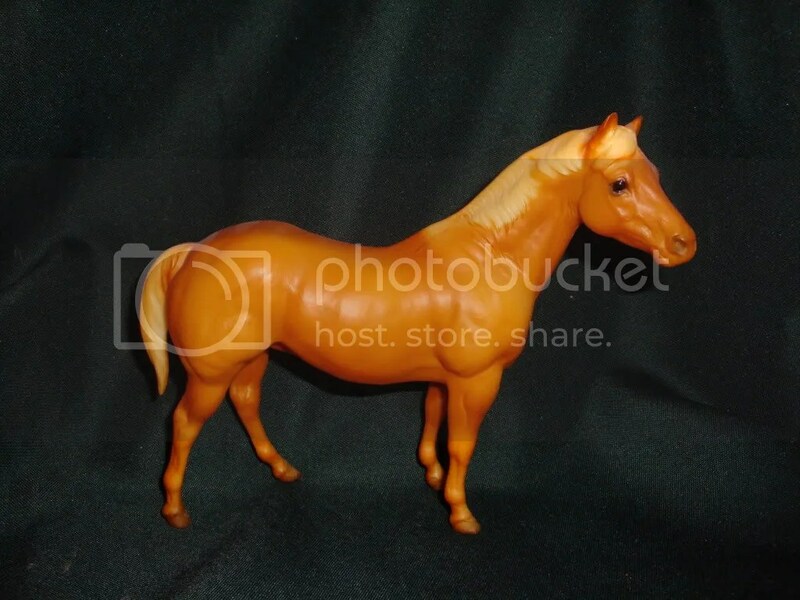 Many new molds were released in the 1970’s and famous horses like Lady Phase and Yellow Mount were created. During the early 1970’s the country went through an oil criss and the plastics that Breyer used was affected. Breyer’s supplies of plastic was depleted and recycled plastic was used. The recycled plastic was often a color other than the pure, clean white that Breyer is known for; due to this Breyer was forced to paint a white base coat on the horse. This white basecoat caused the finish to be very delicate and due to this these horses, dubbed “Chalkies”, are very difficult to find and very collectible. Another thing to look for in horses from the 1970’s is that horses that were produced from the 1960’s were almost all glossy, those horses that made it into production in the 1970’s were often changed over from the glossy finish to a matte one. Lastly, Breyer produced the first Stablemate and Classic scale horses during this time period. The 1980’s brought a very popular decade for Breyer. Collecting and showing were becoming incredibly popular and Breyer began creating not only new molds but also some new techniques. Many of the horses during this time period took off of the iconic 80’s popular Neon colors and are very bright and florescent versions of regular horse colors like palomino and bay. 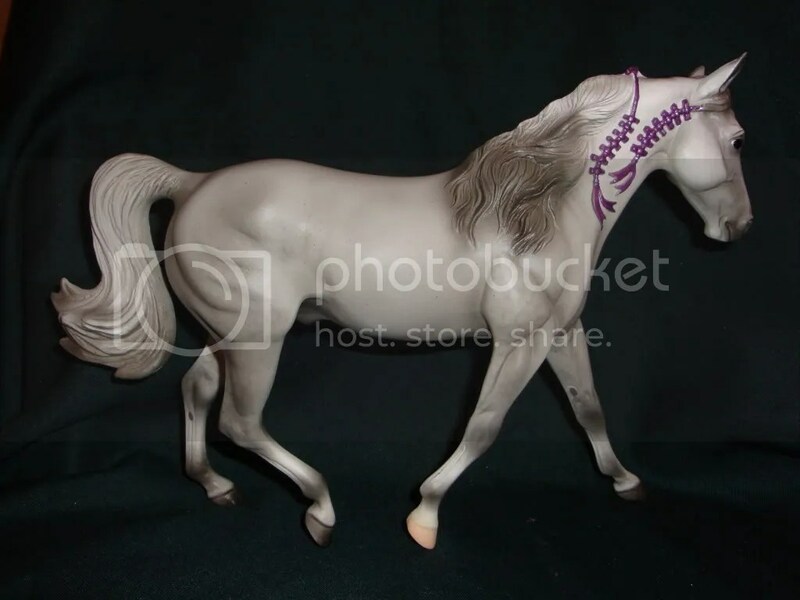 Also during the 1980’s Breyer started to play with hand detailing some of their limited edition horses and some will have hand painted hooves or eyes. The popularity of showing brought even more realistic paint jobs and an extended line of horses in all sizes and colors. It helps to understand a bit about what makes your horse what it is and when it was made. While they might not be “vintage” we’ll go over horses from the 90’s and 00’s next week to finish this off! The Arabian is one of the oldest and most recognizable breeds of horses. They are also one of the most beloved breeds with fans all over the world. Arabian Horses were originally bred in the Middle East over 4000 years ago and the desert climate that Arabians were bred in has created some of the most distinct features of the breed. The Arabian horse was bred by the Bedouins who were nomads in the middle east. The Bedouins bred the horses to withstand anything the vast deserts that they lived and survived in could throw at them. Being a part of the family was also important to the relationship between the Arabian horse and the Bedouin people, creating a kind nature. But don’t let this fool you; the Arabian horse was also used as a war mount and can be quite spirited still. Some of the characteristics that make the Arabian one of the most easily recognizable breeds include a dished profile and large nostrils. The eyes of the Arabian are also large and the horse is a more “compact” than most full size horses. The rainbow that Arabians come in is large and colorful including Bay, Black, Chestnut, Grey,and Sabino. The dilute gene does not exist in the Arabian breed so there are no palomino Arabian horses. Today Arabian horses are used in just about any discipline you can imagine. They are popular mounts for endurance riding due to their stamina and when bred with Thoroughbreds they make great mounts for eventing. Golden Oak Stables and Breyer offer many Arabians that you can bring into your own show string. Azhar is featured on one of Breyer’s first Arabian molds, released in 1956. He is a fiery chestnut with socks and a star and snip for markings. He is a bit stylized but features a very dished profile making him easily recognizable as an Arabian. Any of the Ethereal Models could be Arabian Crosses, especially Wind. His dappled coat and small stature combined with his dished profile makes him a good Arabian cross. The Black Stallion is a famous Arabian offered by Breyer that includes a DVD of his feature film. The Black Stallion film is a great way to help understand a bit more about the breed. S’Justadream is a new release and a new mold for Breyer that is a famous Arabian horse! This flashy chestnut mare is bright and perky and ready to make her way into your stable! This new mold is proving to be popular already and will be one to remember for time to come! Arabians are some of the oldest and well known horses in the world today; their beauty and good nature make them a favorite for many horse lovers. Its easy to add one Arabian to your stable, but the hard part will be adding *only* one! You are currently browsing the Stable News blog archives for November, 2009.